This book offers 45 walks on Lanzarote and Fuerteventura, including 14 walks on the long-distance GR131 trail, which crosses both islands. 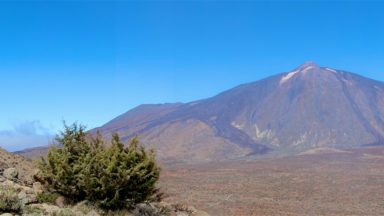 Lanzarote has a fascinating volcanic national park; Fuerteventura has famous golden beaches. Both islands are crossed by new trails. 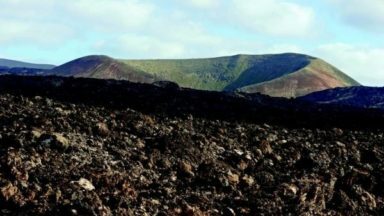 This guidebook offers 21 walks on Lanzarote, including exploring the volcanic lava flows, two on Isla La Graciosa (off Lanzarote’s northern coast) and 22 on Fuerteventura, including 14 walks on the GR 131 trail, which crosses both islands. Both popular holiday destinations, Lanzarote and Fuerteventura are two remarkably different islands. 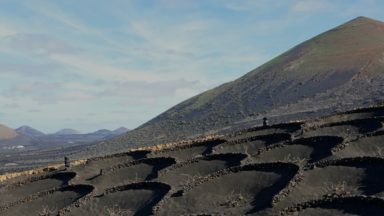 Lanzarote has a fascinating volcanic national park at Timanfaya, and vineyards fill huge areas of black volcanic ash at La Geria; Fuerteventura is famous for extensive golden beaches, but its splendid mountain paths are less well-known. Both islands are crossed by new waymarked trails. These traditional routes span a range of arid, agricultural and natural areas, including hill and mountain trails, coastal walks including Fuerteventura’s golden beaches, and some walks visit villages along the way. Walk 7, 8, 20 & 21 - The small bar at Montaña Blanca is usually closed, but occasionally opens for special occasions. Walks 33 & 43 - Casa Alta, at the top end of Tindaya, contains archaeological information, but rather worryingly also promotes an 'artistic' scheme that would involve quarrying huge cubic holes into the sacred mountain of Montaña Tindaya. Access to the mountain might be affected. Walks 38 & 39 - A new road is being constructed parallel to the existing main road at the Barranco de Pecenescal. It is not known for certain if pull-in spaces for buses will be incorporated. The Chiringuito Bar has been replaced by a surf school and refreshments are no longer available. Walks 39 & 40 - There is a fine hotel at La Pared, and they operate a shuttle bus to and from Costa Calma. Walk 45 - There is a new visitor centre on the island, at El Puertito. When the guidebook was being researched, only the middle part of the GR 131 was signposted and waymarked. 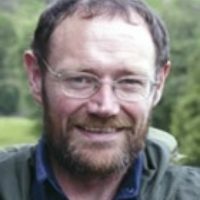 Now, the whole of the route has been waymarked to a high standard, and according to recent visitor Oliver Taylor, there are some differences between the route as it now stands, and the route described in the book. Walk 19 - Follow the road from Playa Blanca, and a signpost now indicates where to turn left. The route is now very well marked, and no longer 'vague' as described in the book. On reaching Yaiza, the route goes down the flight of stone steps mentioned in the book, then enters the village by road. 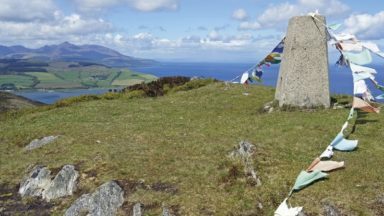 However, the route described in the book is more scenic and involves less road-walking. 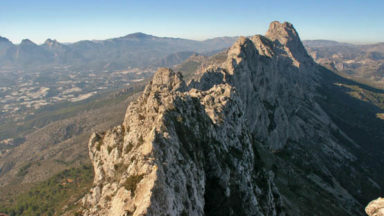 Walk 22 - The book describes a route passing west of Peñas del Chache, which is highly recommended and very scenic. However, the 'official' course of the GR 131 passes east of the summit, following a minor road and tracks. In very poor weather, with no hope of views, it may be best to follow the road. Walk 23 - After the 'short stretch of stone-paved track' mentioned in the book, markers indicate that the GR 131 turns right up to a road. However, the 'official' mapboard at the end of the route in Orzola indicates that the route actually follows the dry riverbed already described in the book, avoiding the road entirely. Owing to a production error, the introduction to Walk 10 - the first route in the North Lanzarote section - was left out of the printed guidebook. (The ePub, Kindle file and route for sale online on this website are correct.) The introduction should read: "This route crosses El Jable to the village of Soo and then heads straight for the coast at Caleta de Famar, starting out on a dirt track with long views out to the islands and finishing down sandy, scrubby slopes to the sea." The book currently says that a 4WD taxi has to be hired from Morro Jable, as normal taxis won't travel along the dirt road to the starting points of these walks. There is now a new 4WD bus service running from Morro Jable to Playa de Cofete and Faro de Jandía, departing Morro Jable at 1000 and 1400, returning from Faro de Jandía at 1200 and 1600, and departing Playa de Cofete at 1245 and 1645. Bear in mind that there are only 21 seats available on this bus, and it is likely to be a popular service. "For those after good walking areas and wanting to escape the winter blues at gome, the Canaries are perfect... 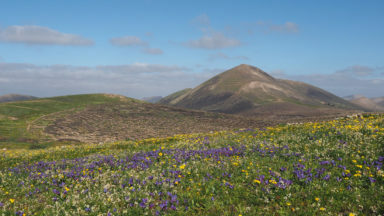 The walks are varied, covering all the landscapes found on these islands, coastal walks, mountain and hill walks, an exploration of Lanzarote's Volcanic National Park, treks to ancient island villages and strolls along Fuerteventura's golden beaches... The book is well illustrated with photographs, and each walk has an accompanying map (1:50k scale)".